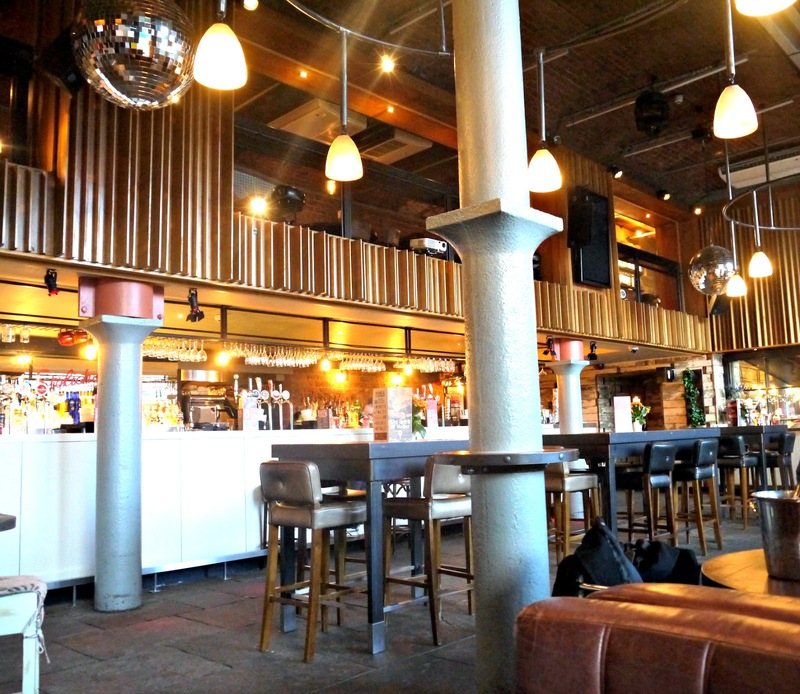 Revolution - Albert Dock holds significance to my chap and I as it was one of the places we would head over to for a drink in the fizzy excitement of dating and where a crucial "Should we do this for real?" conversation was had. 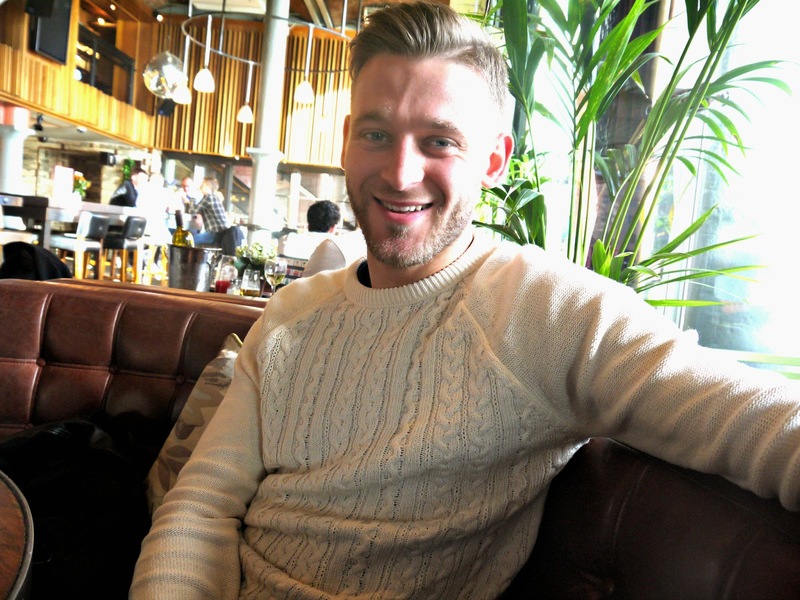 Tuesday night was date night and having not formally celebrated the start of my new job with a cocktail or two, we headed over to the dockside venue as they had very kindly contacted me to find out if I wanted to try out their new kitchen menu. We started with cocktails having arrived just before 2-4-1 happy hour ended at 7pm. 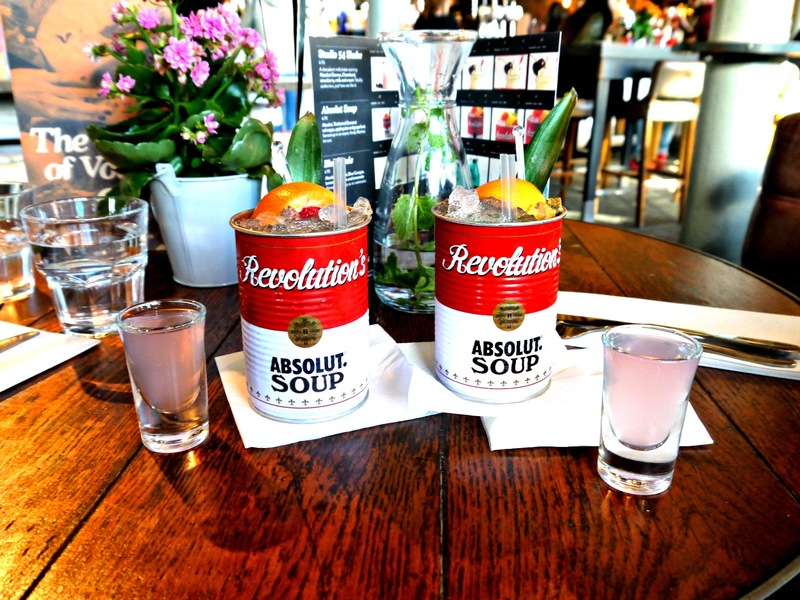 My favourite Revs cocktail is currently the new 'Absolut Soup' a tantalising blend of Absolut Vodka, Coconut Schnapps, apple and grapefruit juice served in a quirky can based on Andy Warhol's famous pop art image of Campbell's Tomato Soup. In terms of taste think Pina Colarda but sexier and 10/10 for quirky presentation. 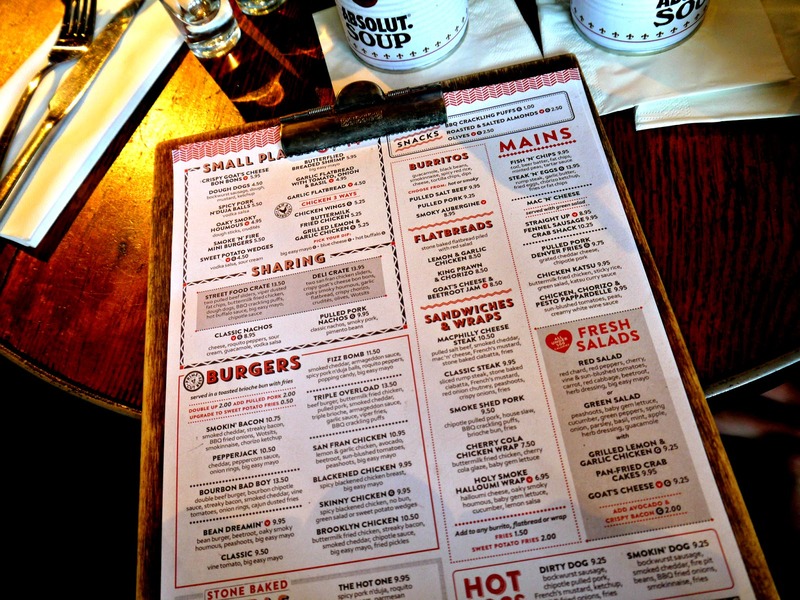 It's a long time since I had eaten food at Revolution so I can't remember the previous menus offering however, their new menu is expansive with a street food vibe and a whole host of interesting dishes combining traditional food with quirky ingredients such as popping candy and Wotsits. I'd heard through the grape vine that the portion sizes are immense so with an epic foody feast in front of us we started by sharing the 'Smoke and Fire' burgers. 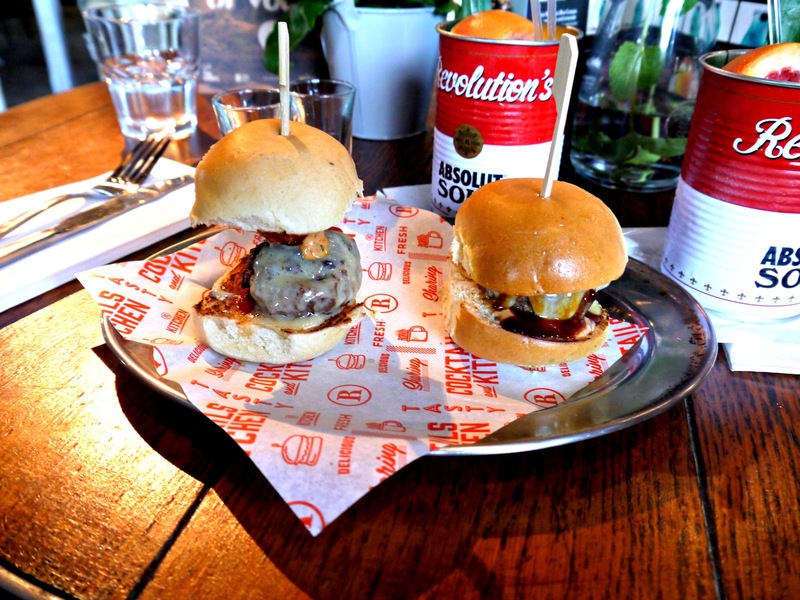 Two mini burgers, the first being a burger incased in a spicy sauce and the second a smokey burger topped with cheese. Both were delicious, fresh tasting and not too heavy as a starter. 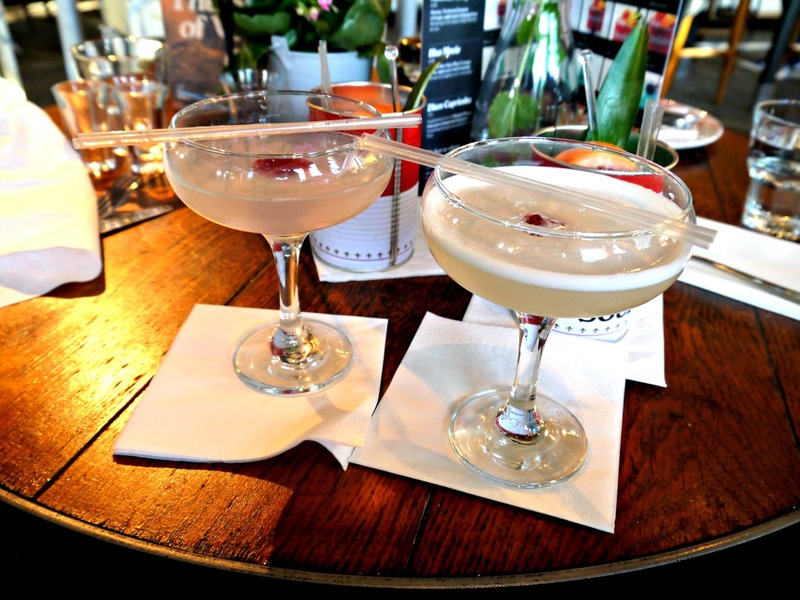 Between our starter and main courses we were introduced to the mixologists special cocktail the 'Lychee Martini' which was a snappy, refreshing drink to help soften the spices from the firey burger. 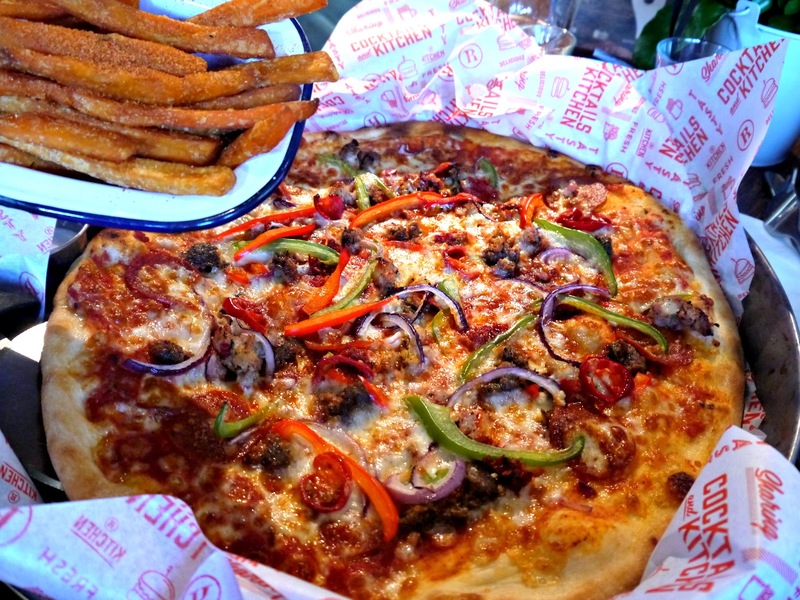 For my main course I ordered 'The bad boy' pizza a meaty feast of pepperoni, fennel sausage, spicy pork 'n' duja, meatballs, house ketchup, roquito peppers and red onions served with armageddon sauce, blue cheese dip and big easy mayo. Apparently this pizza isn't for the feint hearted and I have to agree although for epic spice lovers like myself it was no problem at all ;). The armageddon dip was ah-mazing poured over the stone baked dough. 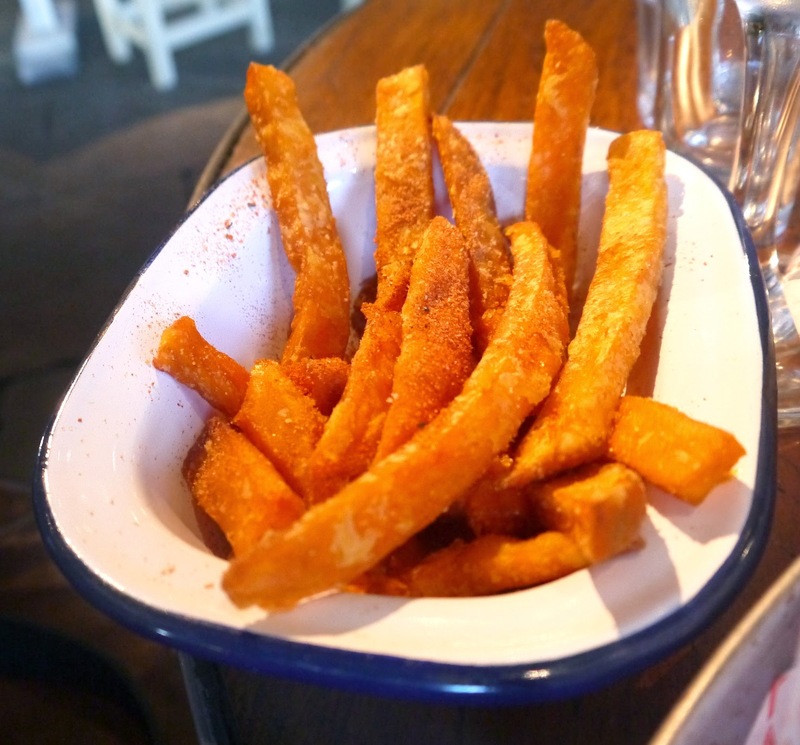 I had my pizza with a side of 'Viper' sweet potato fries, super taste bud tickling, crispy fries in a hot seasoning. Elliot opted for 'The triple overload' and when our lovely waitress informed us that it was an epic one I did laugh and think there is no way he would finish the plate. 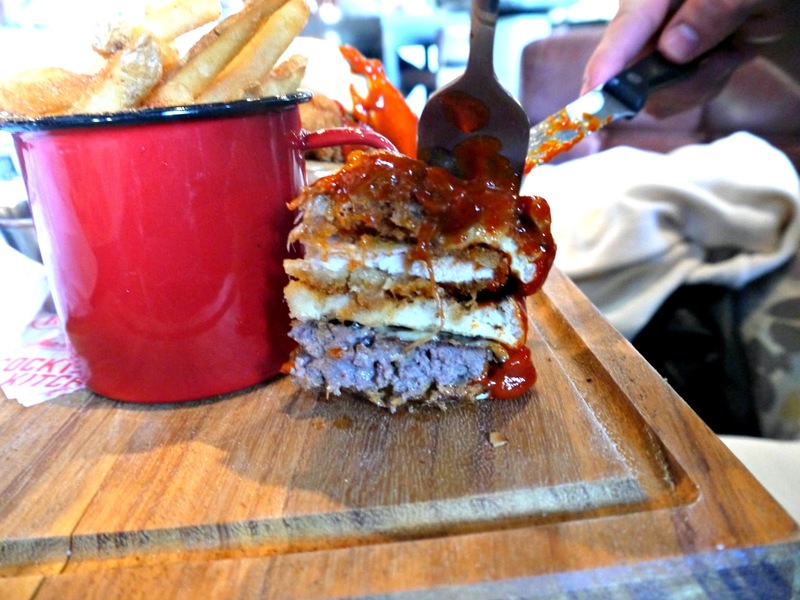 The beef burger, buttermilk chicken, pull pork stacker is served with smoked cheddar and served in a triple brioche covered in armageddon sauce served with viper fries and BBQ crackling pops. Being the food hoover that he is, he of course cleared the board and informed me it was super delicious. By the time desert was mentioned we were both defeated by the epic meals that we had just consumed although the menu looks pretty tantalising with rumours of Nutella filled soft dough and blueberry dip. 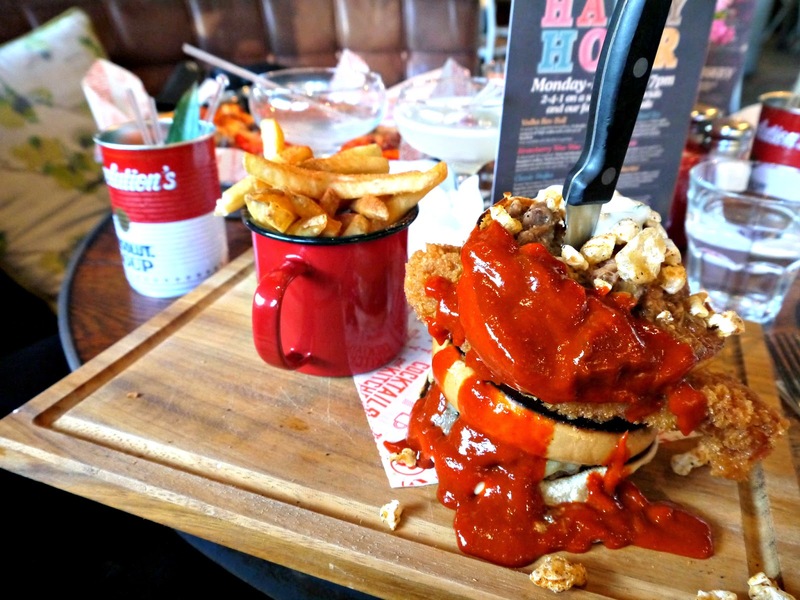 Revolution is often known as a party place, somewhere to go before a night out for cocktails and a dance however, the burgers and pizzas on their new menu are enough to rival all of the foody destinations across Liverpool known for those dishes specifically. 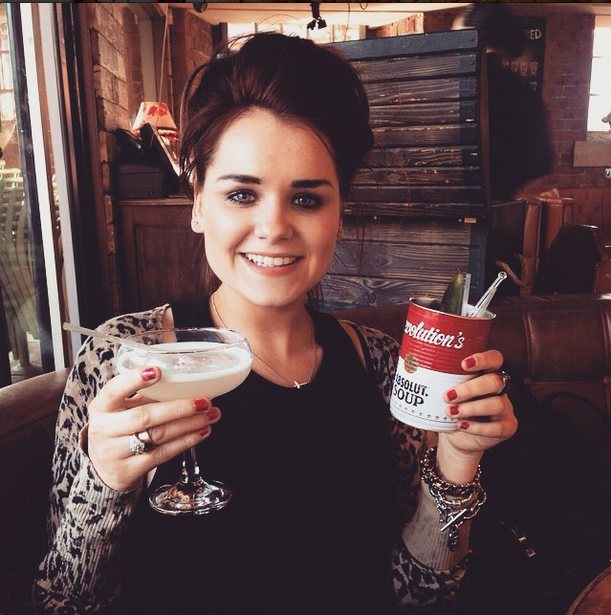 The atmosphere is buzzing, the staff are super helpful and chatty and the service was as spot on as the food. 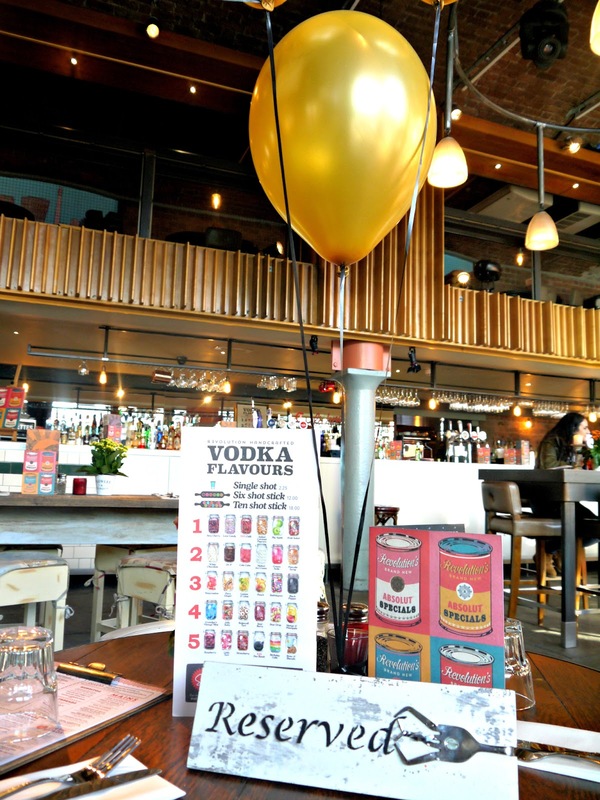 If you're thinking of going out for food and interested in trying a new kitchen menu with some interesting concepts and flavours then give Revolution a try - they are spread across the UK so there is bound to be one near you.